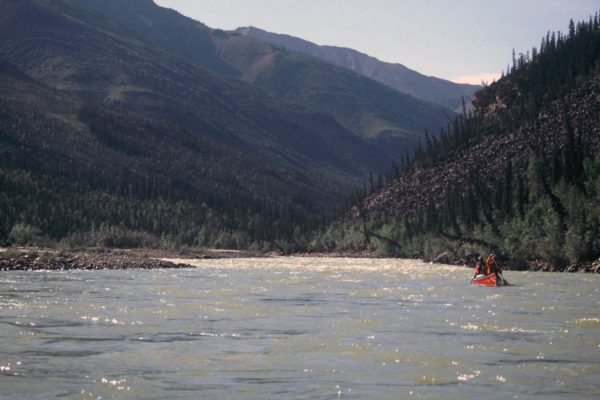 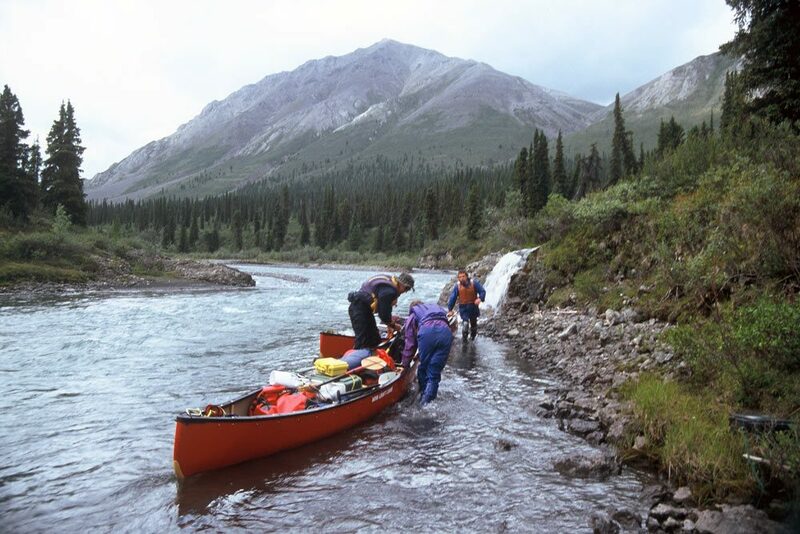 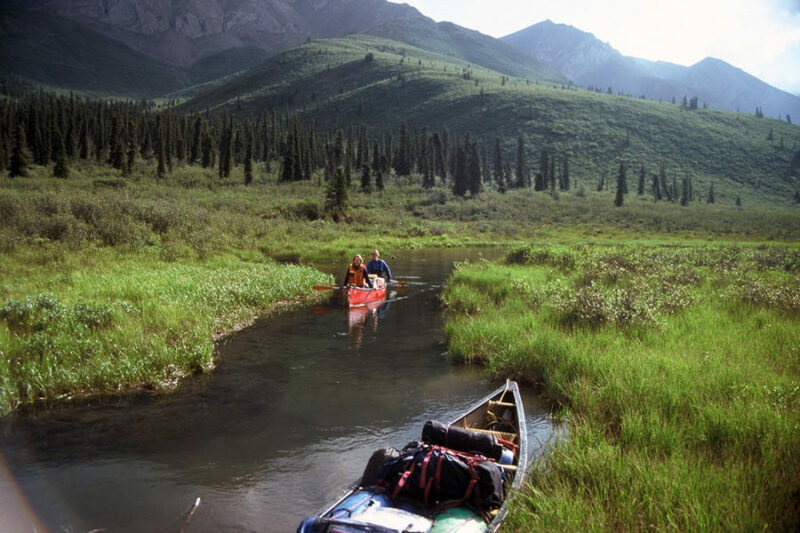 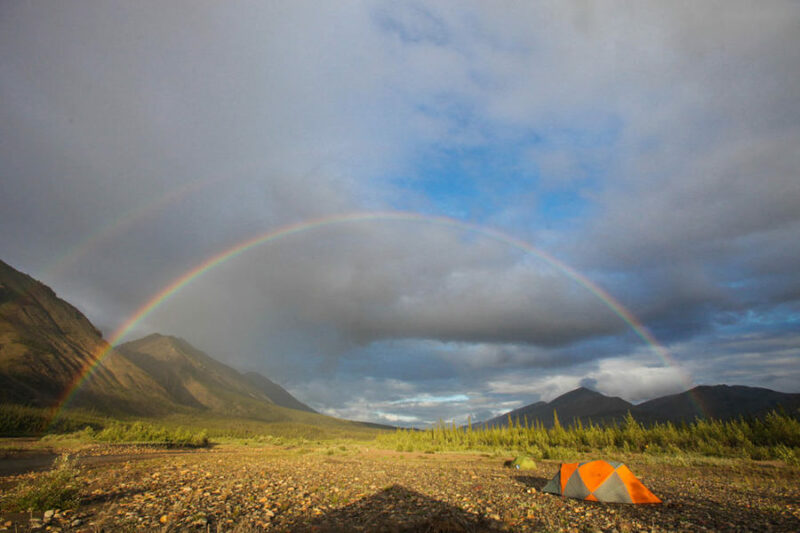 Join us on an arctic rafting or canoeing expedition on the Mountain River – flowing through the Mackenzie Mountains in the Northwest Territories. 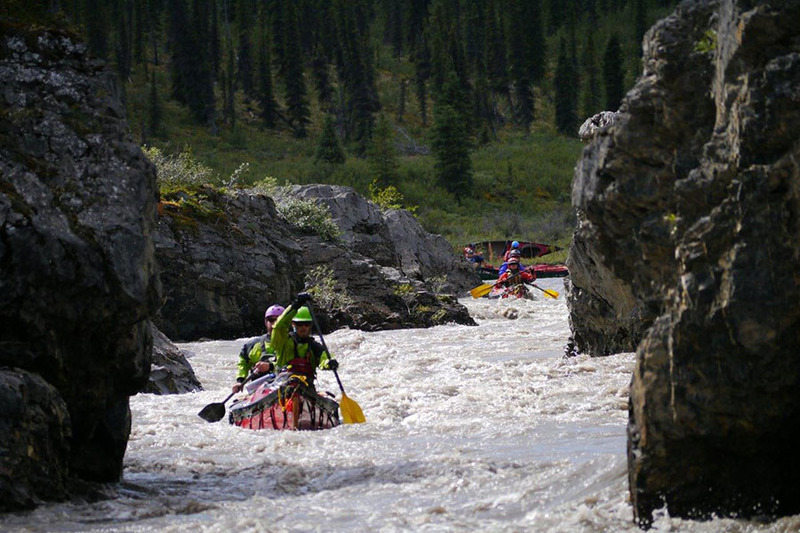 The Mountain River is considered a world-class wilderness river by paddling enthusiasts for it’s challenging whitewater and stunning northern setting. 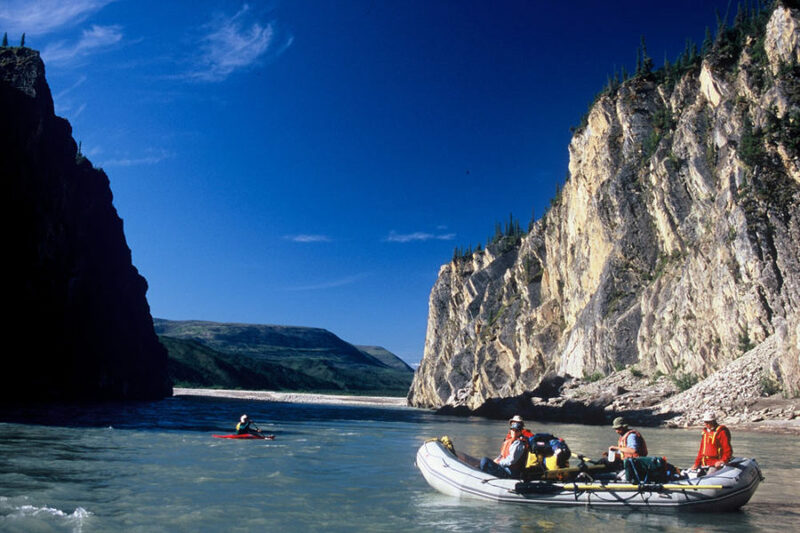 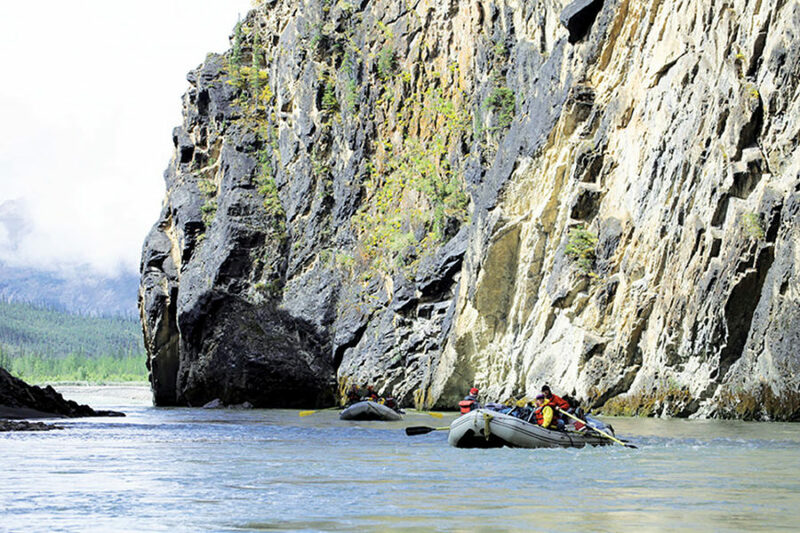 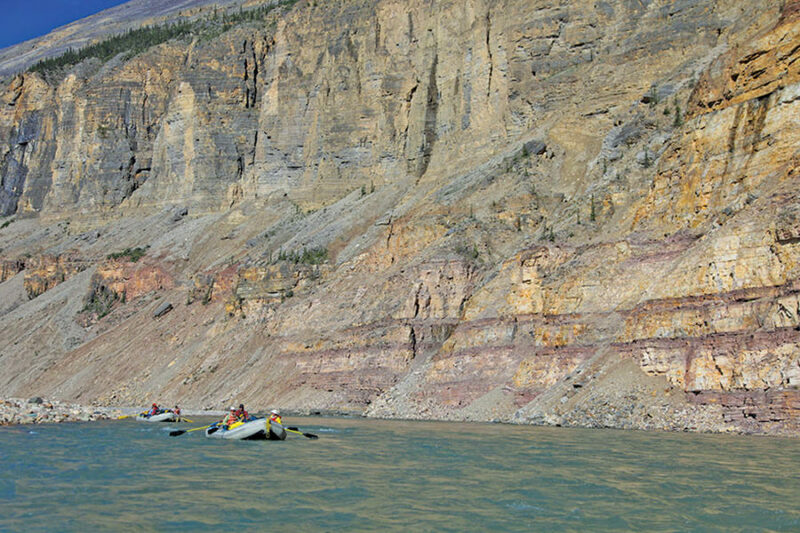 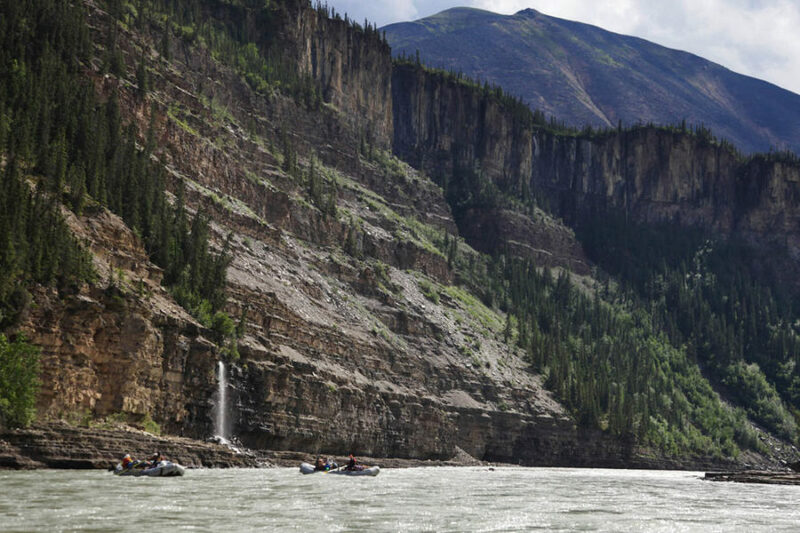 It features large volume rapids, swift currents and six steep-walled canyons. 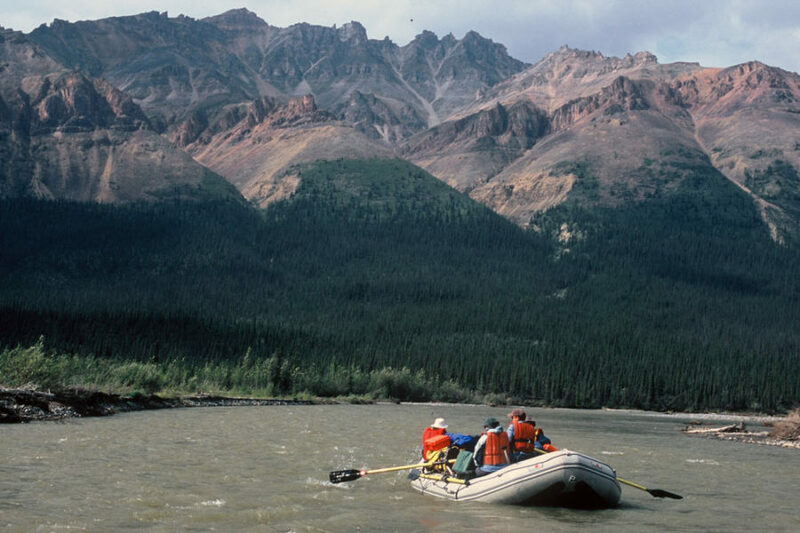 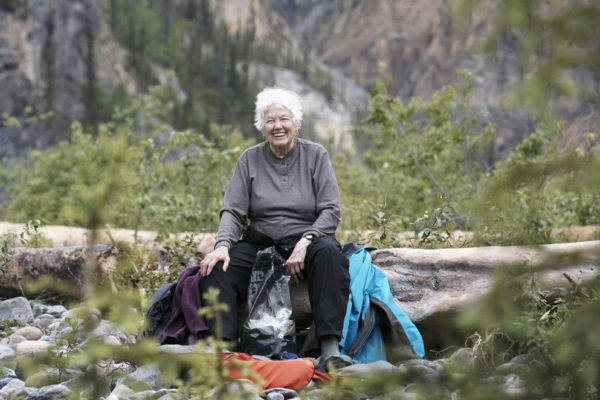 Those who travel the Mountain are rewarded with not only an exhilarating, challenging adventure, but also some of the most pristine wilderness the north has to offer. 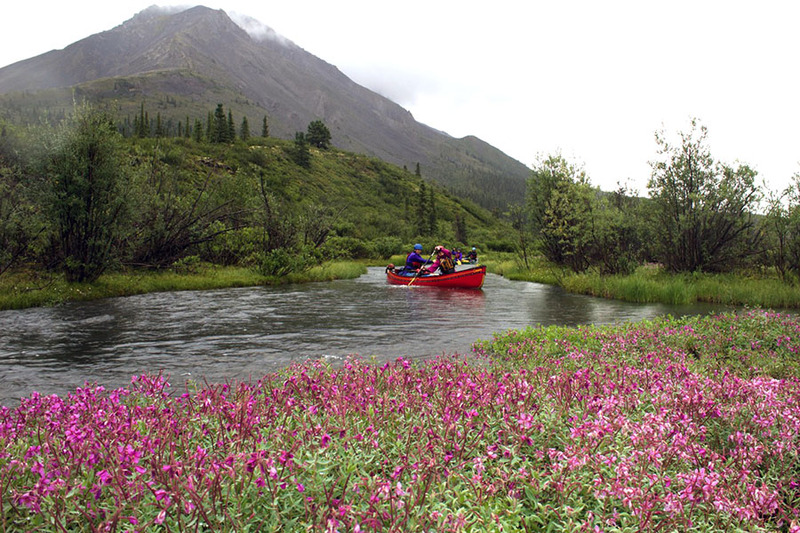 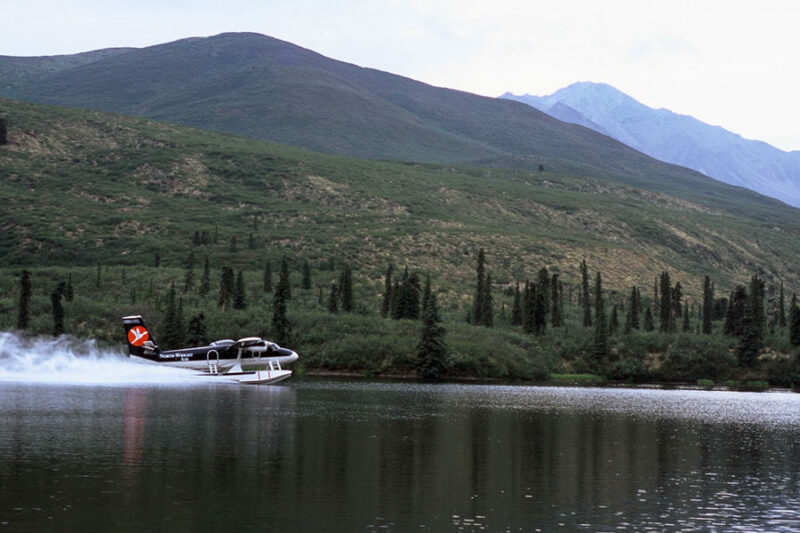 Caribou, moose, wolf, dall sheep, grizzlies and black bears are among the wildlife canoeists are likely to see while on the Mountain. 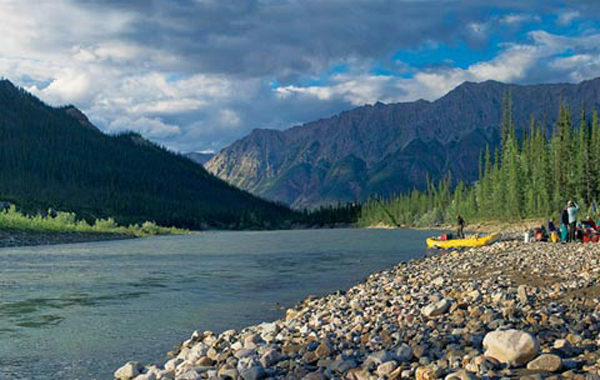 The Mountain River is a tributary of the mighty Mackenzie – Canada’s largest and longest river system. 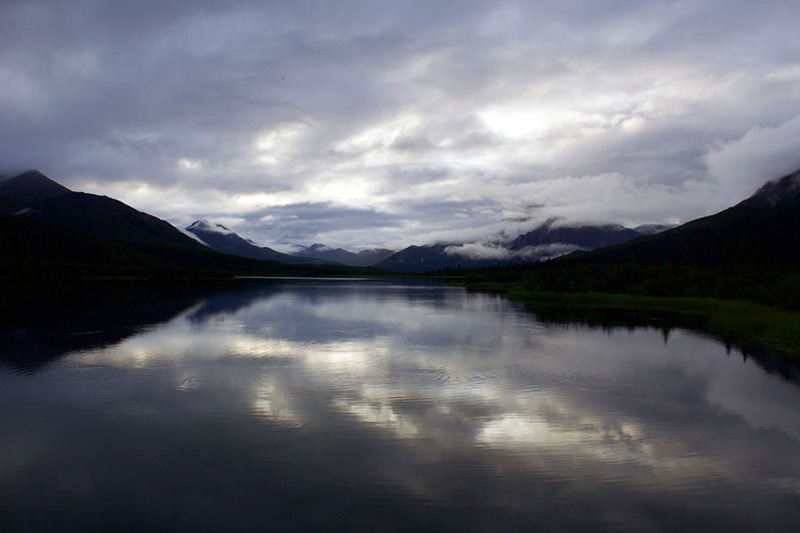 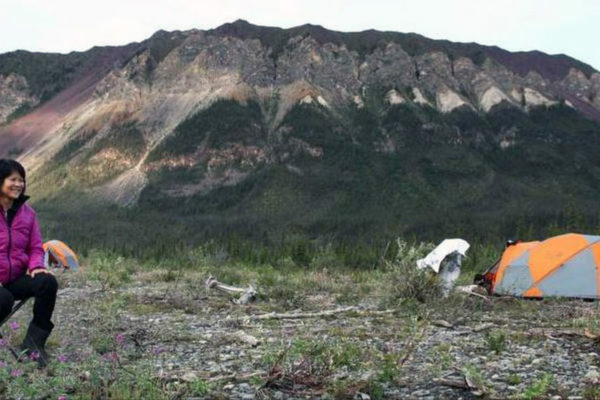 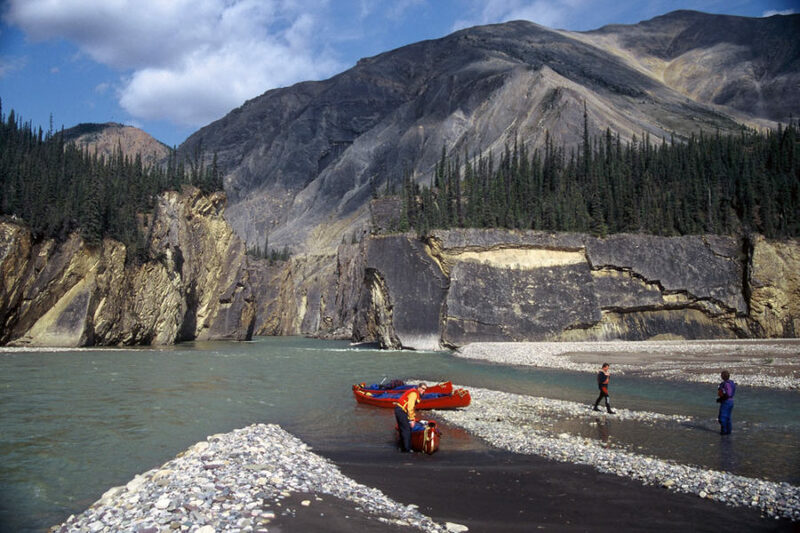 It originates near the watershed border with the Yukon high in the Mackenzie Mountains. 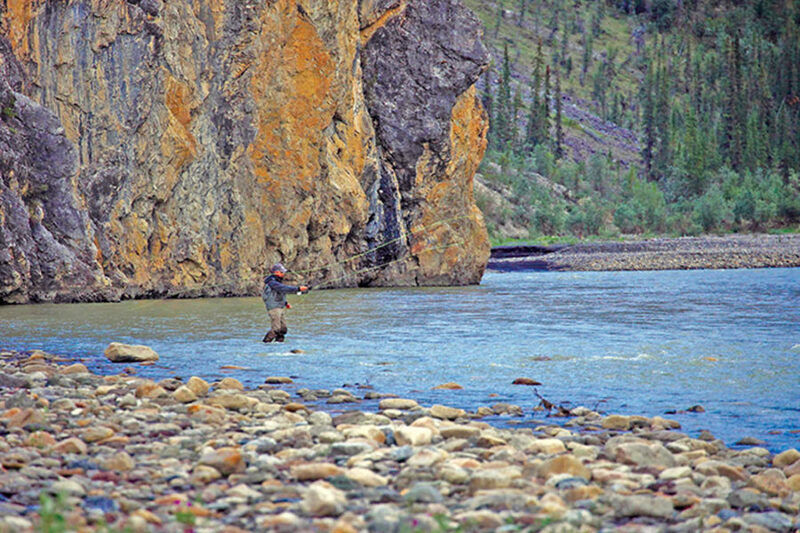 Flowing eastward, the Mountain joins the Mackenzie River south of the Arctic Circle and flows out to the Beaufort Sea. 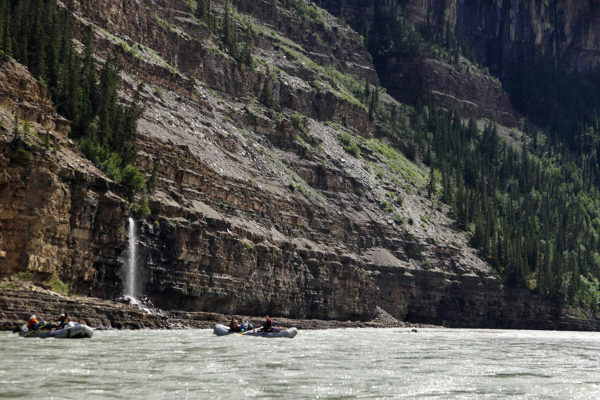 The confluence is only 40 metres (130 feet) above sea level and extends approximately 370 kilometres (230 miles) with a descent of about 1200 metres (3937 feet) over its course. 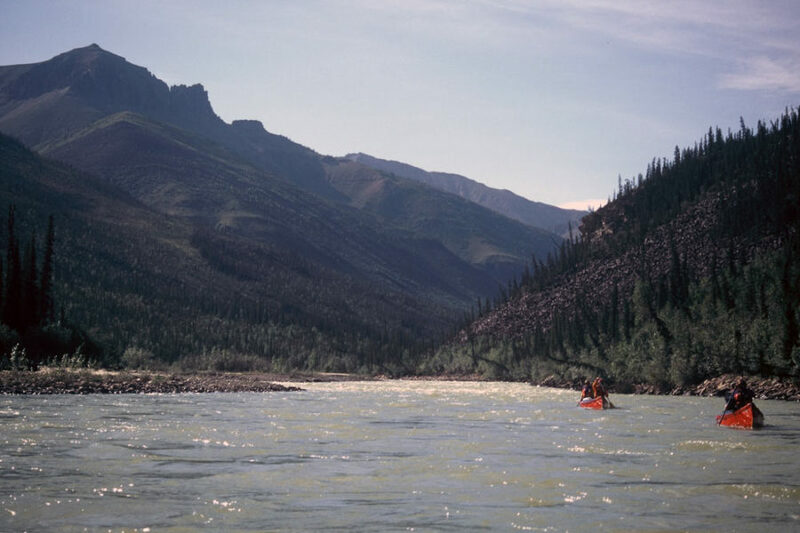 It’s commonly believed that Mountain River is named for the twin peaks that indicates the confluence of the Mountain and Mackenzie rivers. 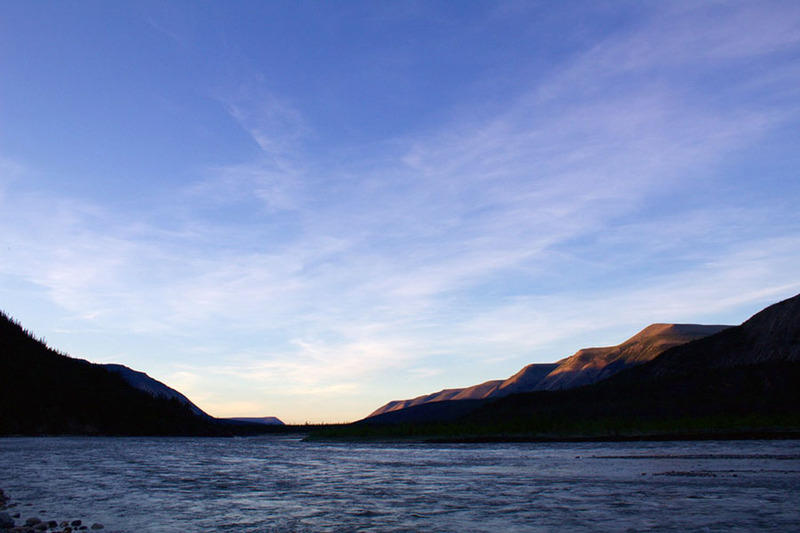 The two mountains were likely used as landmarks by early travellers on the Mackenzie and signaled their approach to the merge of the two rivers. 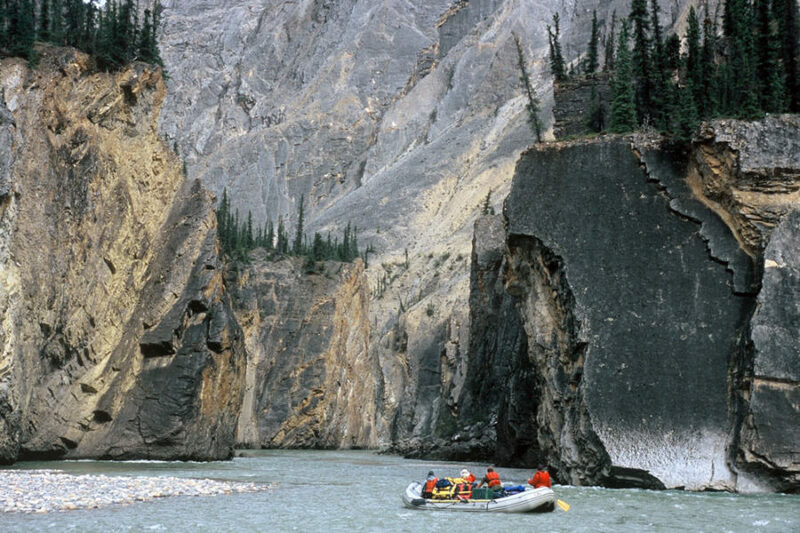 The river flows through the Mackenzie Mountains, which mainly consists of sedimentary rock like sandstone, shale and limestone, with the occasional granitic intrusion. 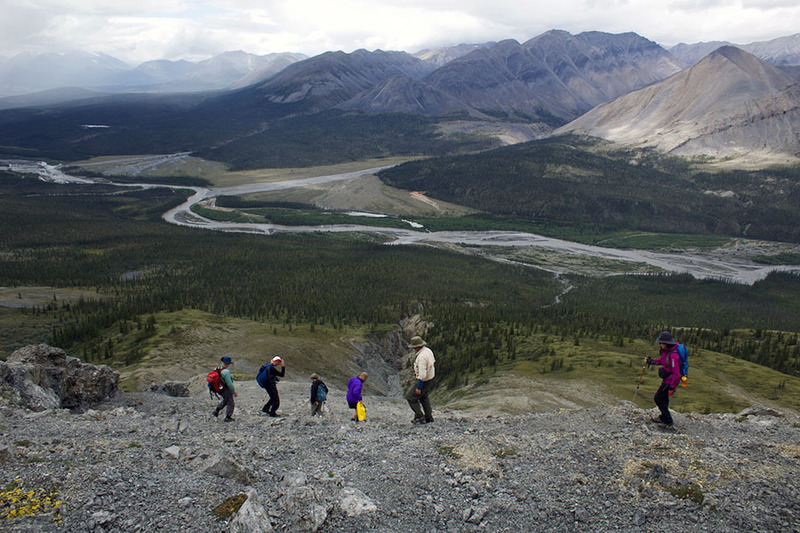 Keale Peak is the highest point in the Mackenzie Mountain system at 2952 metres (9685 feet). 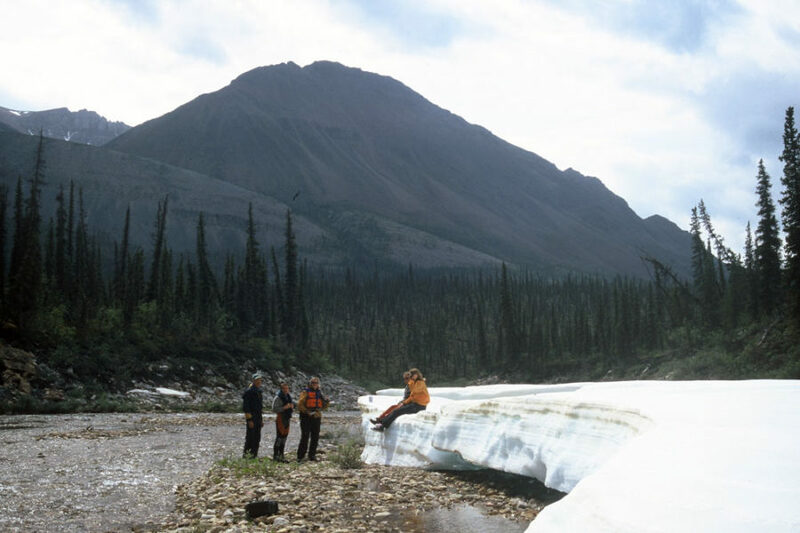 The Itsi and Rouge ranges of the central Mackenzie Mountains contain glacial fields and an infamous granitic intrusion – the Cirque of the Unclimbables. 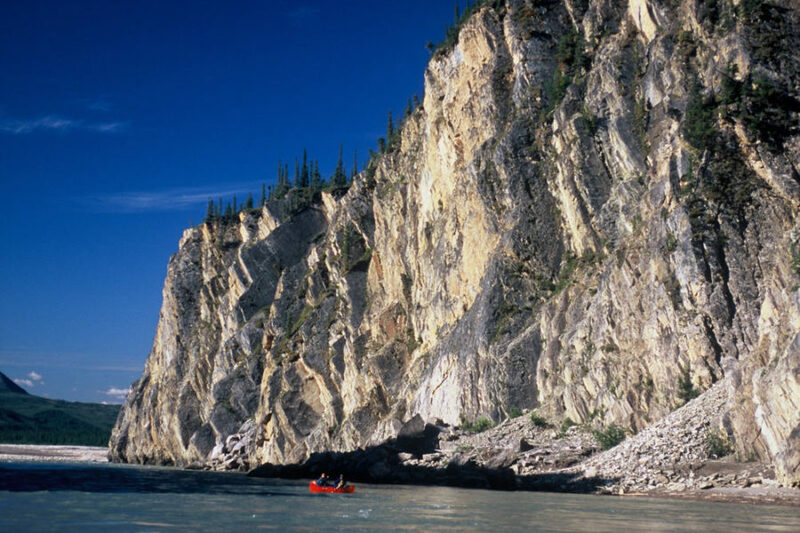 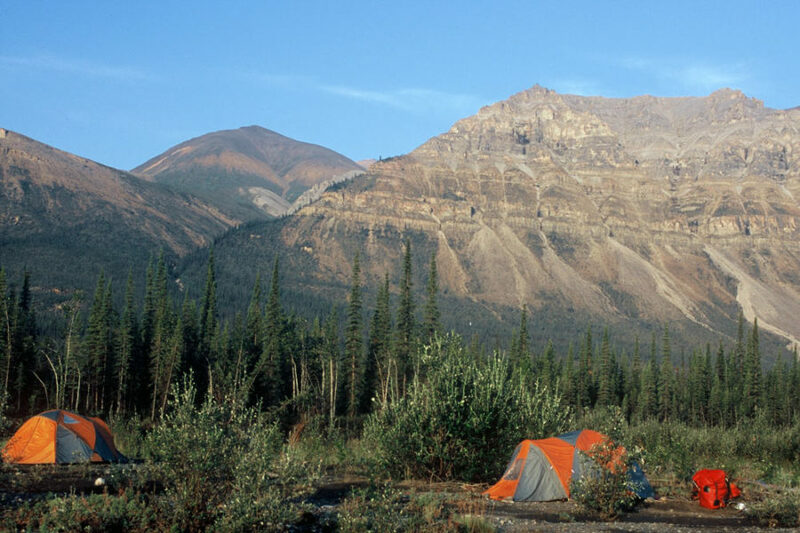 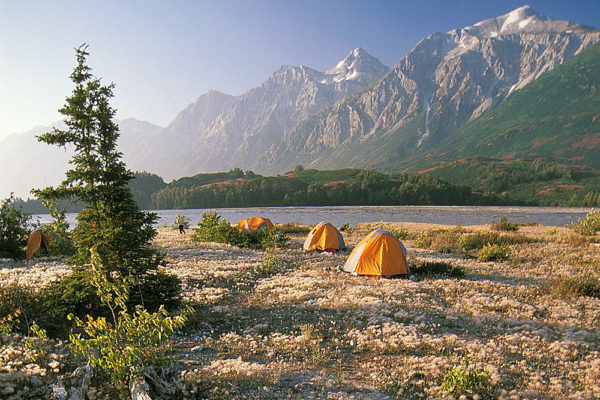 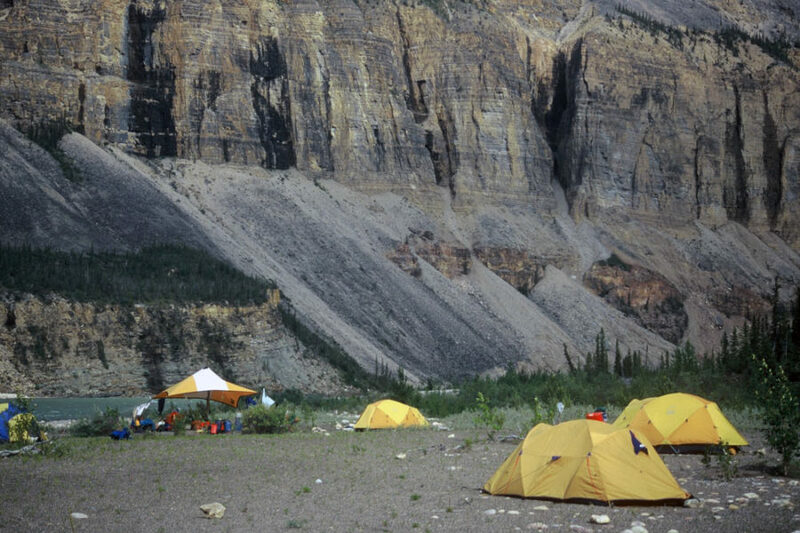 The Cirque is a world-class destination for the most adventurous rock climbers and is a recent addition to Nahanni National Park.